Dave DeVries has been fishing since he was a child. 12 years ago he received his first fly rod as a Christmas present from his father and a passion was born. 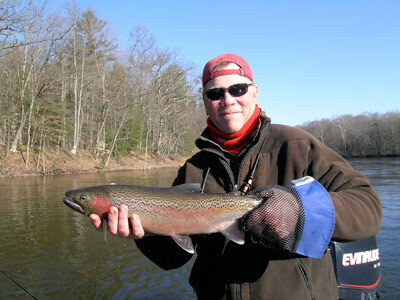 He has been a full time guide with RiverQuest for the past 6 years and prior to that he was one of RiverQuest’s frequent clients. He previously was the owner of a company that manufactured custom seat cushions for people in wheelchairs. When the opportunity presented itself to become a full time guide his passion for fishing won over and he began guiding with RiverQuest. In addition to guiding in Michigan Dave has fished extensively in the western states as well as having made a few trips to Alaska.